Sharon served as the CEO and Marketing Director of Frill Clothing. The inspiration for Frill emerged from Sharon being forced by her sorority to buy expensive and unflattering clothing for sorority recruitment. Sharon and her business partner were challenged to fix this problem! In 2013, one of Frill's pictures became viral on social media when viral was not as loose of a term, and it was truly organic. This resulted in Frill dressing sororities and bridesmaids all across the world. Sharon is a proud graduate of the College of Textiles at North Carolina State University with a degree in Fashion and Textile Management: Brand Management and Marketing. As a junior at N.C. State, she formed Frill with an Appalachian State student with only $250 (and Sharon had only $350 in her bank account!). They grew it into a six-figure company as college students before year two of business and defied all of the business odds they tell you in college about not breaking even until year five. They sold their 5-year old company in 2016, and she's had many jobs in various industries since ranging from Real Estate Development to TV production. Sharon is a #girlboss and is a millennial with many “side hustles.” She now has a business doing photography, mentoring other start-up companies, building e-commerce websites, coordinates weddings, sells lipstick that doesn't come off, and is a traveling motivational speaker for ForCollegeForLife. She works full time as a Marketing and Communications Manager for the Fortune 500 technology company, Cisco, and also hires military Veterans, the disabled and candidates trying to return to the workforce. After visiting Google, Facebook, and Instagram’s headquarters, Sharon knew a career in technology was her dream. Sheryl Sandberg and Elon Musk are her idols, and her goal is to be a Sheryl Sandberg at Cisco one day and to be an ethnic woman leader in the field of technology while somehow changing the world. Her main keynote is a leadership and entrepreneurial one called “Build Your Empire: Navigating Obstacles on Your Path to Success.” Sharon's company, Frill, aired on Shark Tank Season 6 in March 2015. 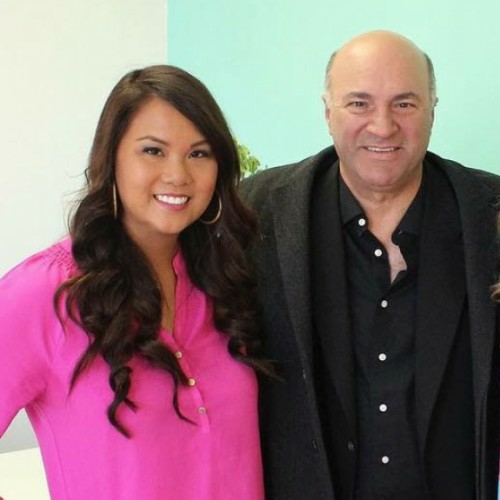 She also was on the spin-off show of Shark Tank, Beyond the Tank, in April 2016. She is proud to have represented Chi Omega, Raleigh, N.C. State, the College of Textiles, and her family. She has appeared on Shark Tank, Beyond the Tank, Forbes, ABC World News Tonight, Huffington Post, Entertainment Weekly, and more. Find out more about Sharon Bui at http://www.sharonbui.com.